Join us as we celebrate the Tesseracts anthologies of the past, present and the future. 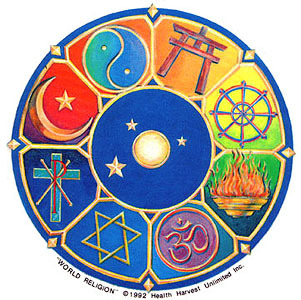 The Wrestling With Gods (Tesseracts 18) blog will be hosting 18 different guestblogs by the authors of stories that deal with faith that have appeared in the Tesseracts series. Come every day to read a new post in a discussion of Faith in Scifi and fantasy with leanings towards craft. You might be reading craft-leaning blogposts on how an author tackled faith elements in their writing, or how their story reflects other stories/ novels that have had a similar faith element and how they all tackled that element–tying their story into the larger longer conversation scifi and fantasy is having about spiritual issues. You might also find tips on how YOU might better incorporate spiritual elements into your writing using a story from Tesseracts–or several– as an example(s). 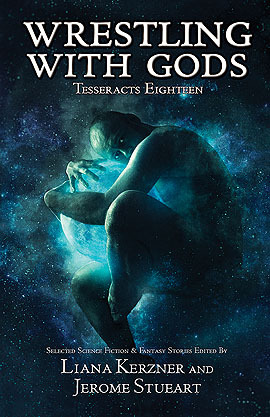 Each blogpost will tie a Tesseracts story in with the larger conversation that scifi and fantasy has been having with faith, and hopefully will give you, our readers, an insight on craft, and, of course, a way to celebrate the stories and poems in the Wrestling with Gods: Tesseracts 18 anthology. We will also be tying each of our author’s guest blogposts in with their interview on Corey Redekop‘s blog where he interviews the different authors about their stories–making our blogs complement the ones on his site, we hope, in a cool way. Tesseracts of the Past – on this event page, and on the EDGE Facebook Page, they will be featuring Tesseracts one through 17 and Tesseracts Q over the various days. Learn who the editors were, and the contributing authors. If you are an author of one of these anthologies, feel free to tell them about your contribution. If you are a fan—you’ll learn about ALL the Tesseracts anthologies appearing above in that splendid montage of Tesseractses. Tesseracts of the Present – For the 18 Days of Tesseracts we will hosting offline and online events, and doing various blog posts and interviews. This page will be the source of all information, so join up and keep up to date as to what is happening on this page. We will post updates as we go along. Watch the top pinned post for the schedule. Tesseracts of the Future – we will get further updates from Superhero Universe. Learn what is new and happening in their Superhero world…AND we will be announcing the editors for Tesseracts 20. And finally.. October 7th join us for an online Tesseracts Meet and Greet party for all who have loved this series, or who have contributed as an editor or author. This event will happen here on October 7 throughout the day and evening. No matter what the time, drop by and introduce yourself, and post a question for people to answer. So….if you are an author, an editor or a fan of the Tesseracts anthologies, please join the event, and invite everyone you know. Lets see how far we can spread this invitation. Share the FACEBOOK event with everyone! Then come back and see what we have for you here, and elsewhere on the web!